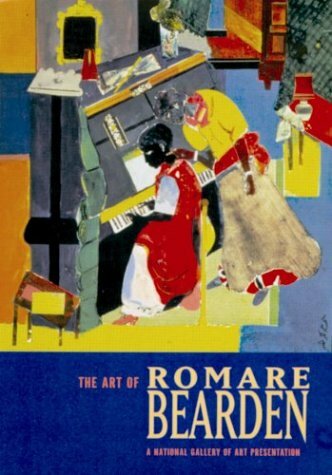 Romare Bearden’s art captures the diversity and richness of his life. With roots in North Carolina, Bearden migrated north at an early age, living in industrial Pittsburgh, vibrant Harlem, and, later in his life, on the Caribbean island of St. Martin. These four locales and his memories of their people, music, colors, and stories form the basis of Bearden’s collages and paintings, whose style exhibits a unique blend of cultural influences from Harlem, Europe, and Africa. This film traces Bearden’s entire career, including his paintings and watercolors of the 1940s, experimental collages of 1964, mature collages of the next two decades, large-scale public murals, and late landscapes. The documentary also features commentary by art historians, artists, and others who knew Bearden, including Wynton Marsalis, Albert Murray, and Emma Amos. Narrated by Morgan Freeman with readings by Danny Glover. If you have any questions about this product by National Gallery of Art, contact us by completing and submitting the form below. If you are looking for a specif part number, please include it with your message.